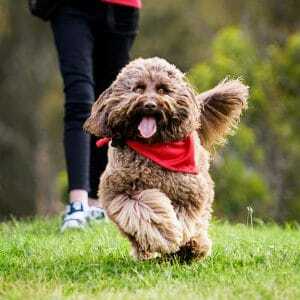 Wondering where to catch Action shots of dogs in Melbourne? At PAWtrait’s we know of some great spots to get amazing Action shots of dogs, we have some a few favourites parks we use regularly. 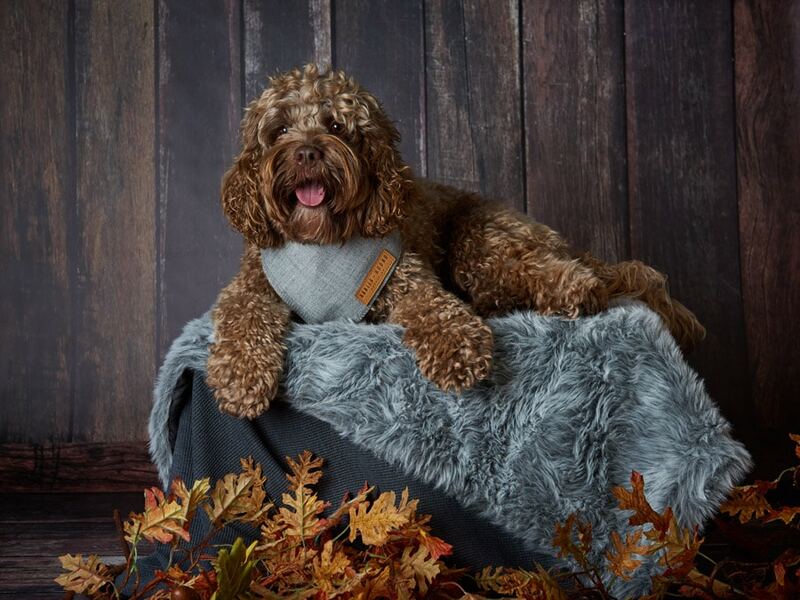 So if you adore your pooch to bits? Love the energy of your dog, but struggle to get a great action shot yourself? 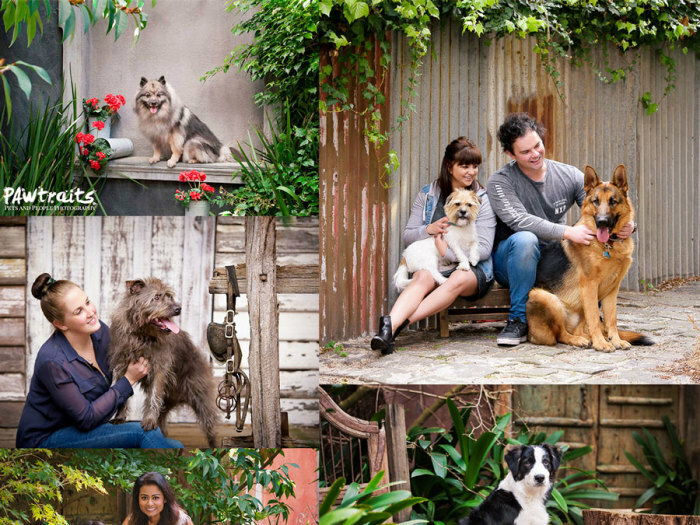 Want to be in some of the images interacting with your dog in a natural fun way? 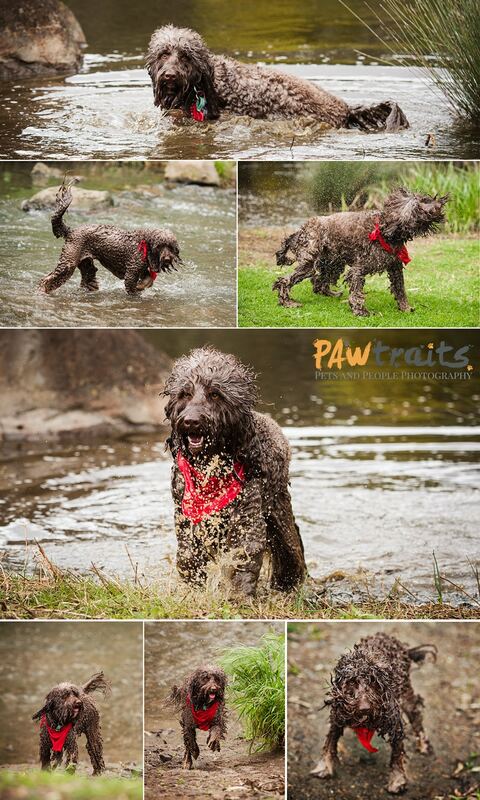 This is exactly why Donna decided to book her photo shoot with us at PAWtrait’s Photography and it was such a blast! 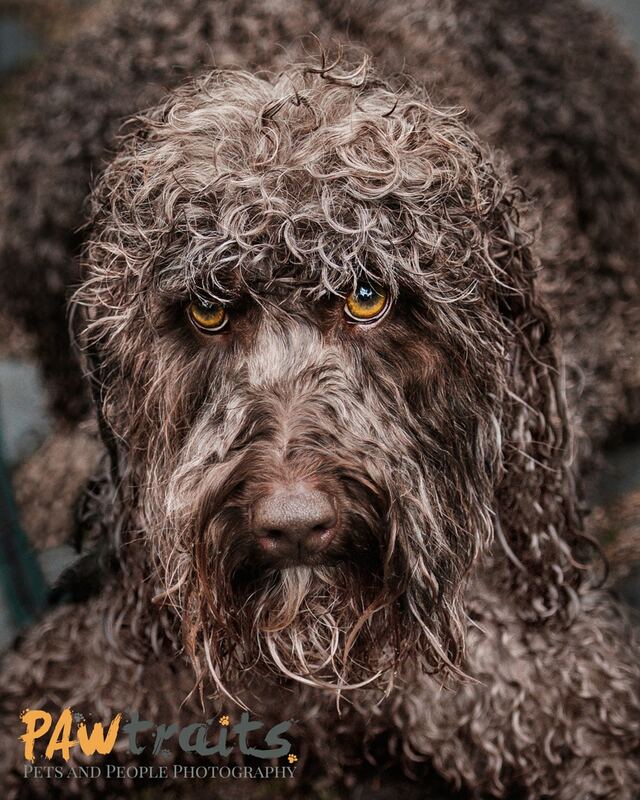 Ned was one of our very memorable PAWTraits Book 3 shoots! 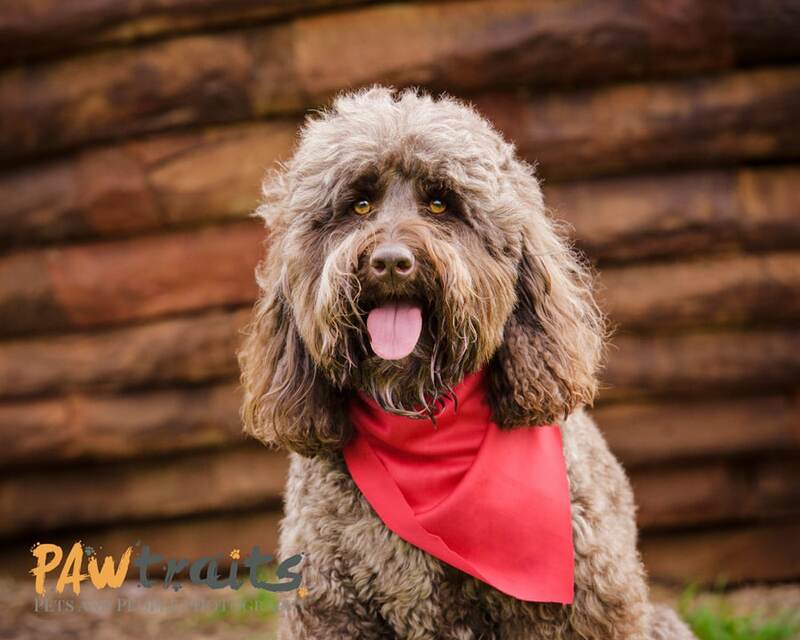 Ned is a Spoodle, (Spaniel cross Poodle) he is 3 years old and he is a very well trained dog. Donna spends a lot of time with Ned perfecting his skills and obedience and is super proud of him. The love they have for each other is obvious to anyone. Ned arrived straight from the groomer (and an hours drive away) looking all spruced up, fluffy and very handsome. “I had been thinking about having a photo shoot done with Ned for some time. When I looked into it I found multiple photographers that did photo shoots with dogs but I found it near impossible to get a real concept of what a photo shoot would cost and what I would be expected to pay for any selected photographs. 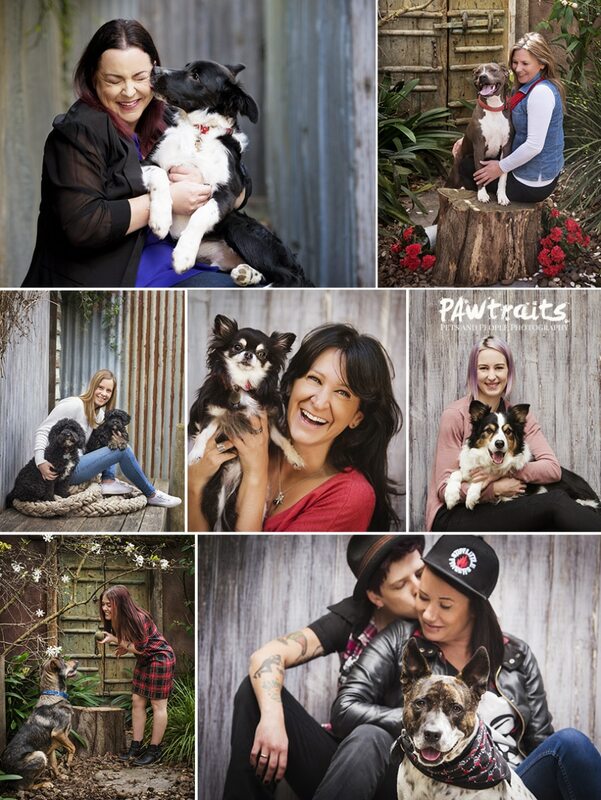 An advertisement for PAWtraits with the fixed price photo shoot for the book appeared in my Facebook newsfeed. 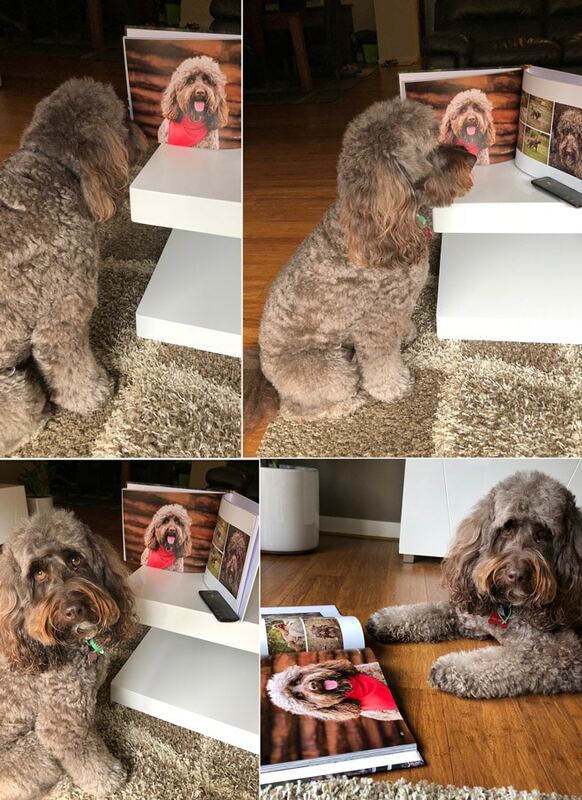 I thought this was an ideal way for me to have a photo shoot done with the added bonus of the book and at the same time look at what I would be expecting to pay for any selected photographs. Having this photo shoot done with Ned is one of the best things I have done. I adore Ned and I wanted to have high quality photos of him now while he is still a young dog and in his prime. I wanted photos that depicted the true him…running and jumping and being energetic and excited and at the same time I wanted photos that captured the connection between us and photos that showed off just how beautiful he is and highlighted his gorgeous eyes. I got all of that and more. When I first viewed the photographs I sobbed through the whole viewing because seeing how the photos told his story and displayed my gorgeous boy so beautifully just filled me with emotion. I couldn’t have imagined how beautiful the selected pieces I purchased would look in my home. I not only got beautiful photos of Ned but I also got lovely artwork for my walls. 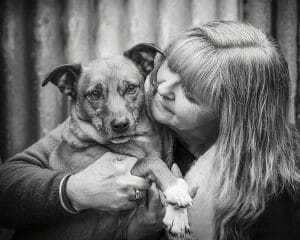 We had caught lots of action photos of Ned showing off his attentive, obedient, sweet and devoted nature with Donna, performing his jumps, runs, fetches, returning to her and sitting patiently for his rewards. We moved to a new spot in the park and had just taken this stunning portrait of Donna and Ned on the log, which is proudly hanging as a magnificent framed art piece in her home, when he decided the duck pond nearby looked extremely inviting and deciding he’d worked up a thirst, and needed cooling down, so without a moments hesitation took off and dived right in! The joy (the uh-oh what have I done expression) the splashing and shaking, the running back in and coming out dripping in green slime and Donna’s mortified face was priceless! Ned loved it and went back for more and between fits of giggles we kept shooting. Poor Donna, she kept apologising that Ned had ruined our photos! Quite to the contrary…this was priceless, we loved it! Eventually, with a little treat persuasion, we moved the shaggy slimed pup to a cleaner water hole where he enjoyed himself even more and cleaned up for his travels home! Imagine the stink for an hour or so of slimy duck pond dog! Moral to the story: Capture the Action…All of it, it tells the personality of the Dog. You can’t keep a water loving dog dry! How awesome is this! Sent through from Ned’s “fur mumma” Donna after collecting her book. Great photos Donna! I wanted to say a big thank you and well done on the book. It is amazing and Peter commented on the great quality of it just as I did when I saw it. It is on the coffee table and I am looking forward to others seeing it and getting a surprise when they get to “Ned’s” pages. 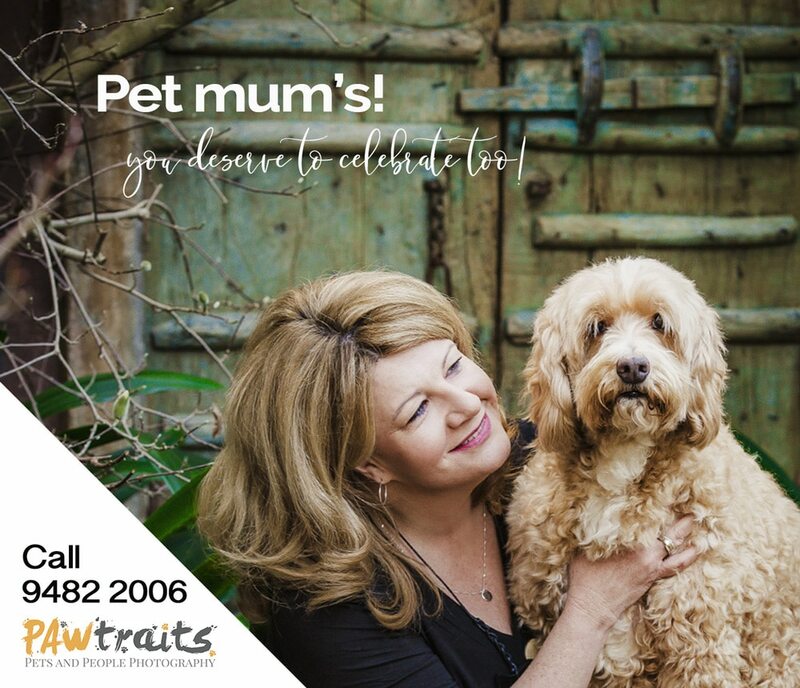 Keen to get involved with the next PAWtraits of Pets Coffee table Book, Contact us today! 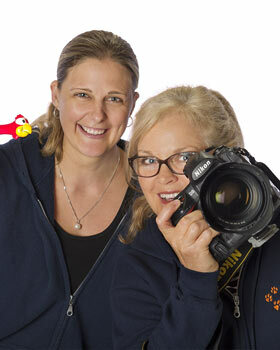 Did you know that our parent company – Lifeworks Photography has been around for over 25 years Check out our Portrait Photography here! Wondering what to do this Sunday? If you already have plans you CANCEL them and come to this! 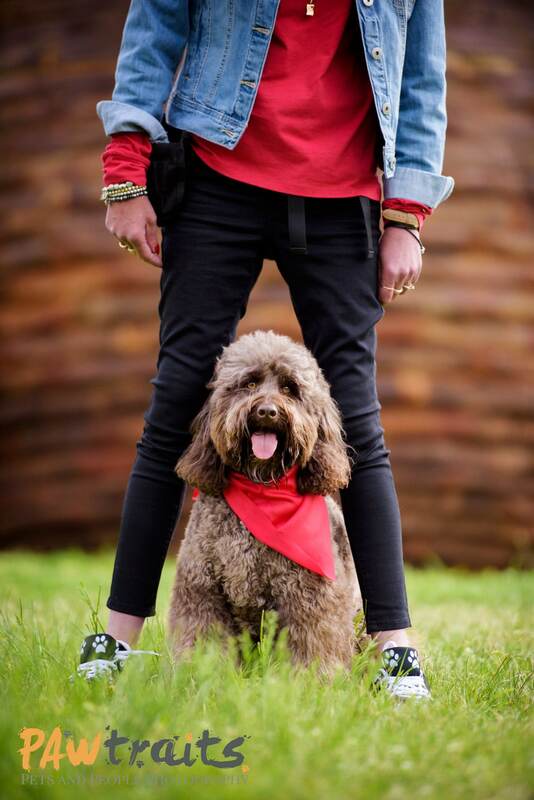 PAWS and PINTS Market Day – Sunday 20th May 2018 from 12 noon to 5pm. If you want photos of your dog you have to attend! 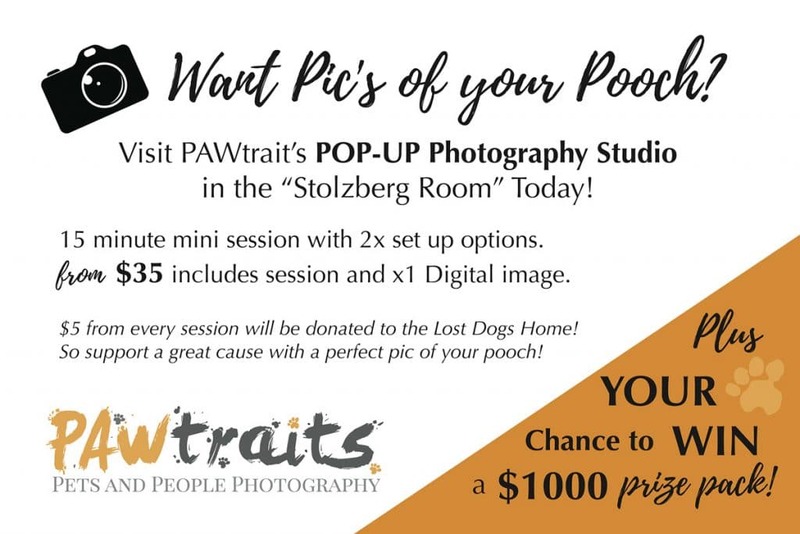 Here at PAWtrait’s of Pets and their People, we love to give back when we can and have fun well doing it! We have organised a Studio Set Up, that is going to be epic!!!! The deals and giveaways will knock your socks off!! 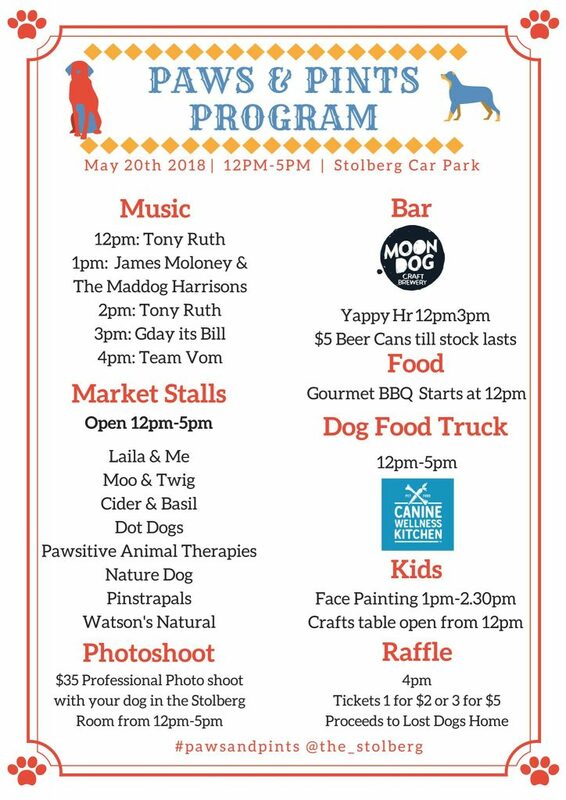 Join us with your dog on Sunday 20 May for a day of beer, entertainment, competitions, raffles & pet information from 12pm. This free, fun filled day features interactive demonstrations, Q&A sessions, informative presentations, market stalls offering the latest pet products, health tips and more. 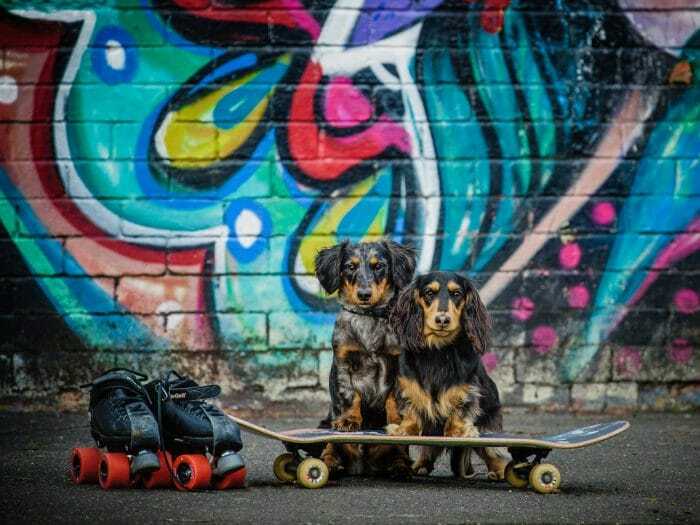 – The ‘Flea Market’ that will commandeer our car park, with a wide selection of local vendors, such as Laila and Me Moo+Twig@watsonsnaturalanimalremedy NatureDog Raw Dog Food Cider and BasilPinstaPals and more, supplying your doggy with everything they could possibly want, no, NEED, so why not spoil them? 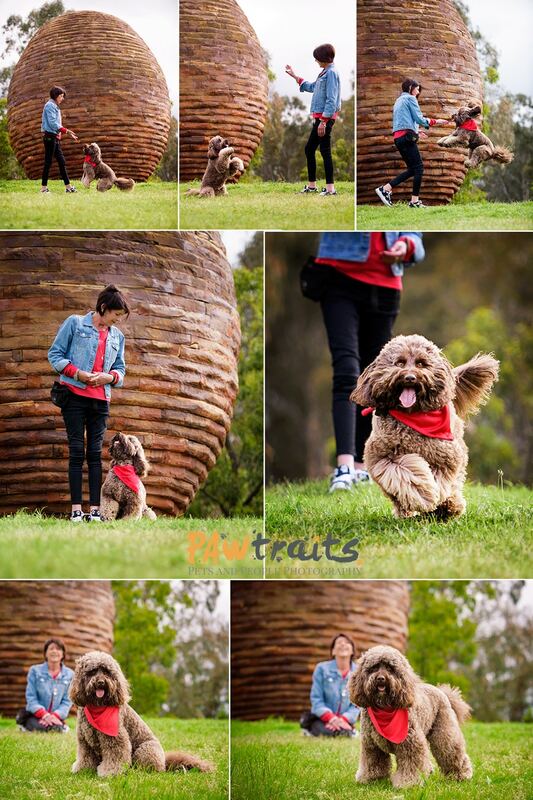 – Get your pet family photos taken as PAWtraits, Pets and People Photography – Melbourne. sets up a studio in the Stolberg room. 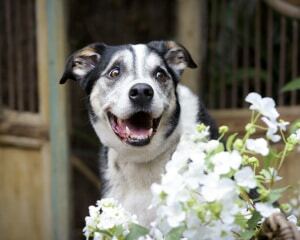 The Lost Dogs’ Home will be receiving proceeds from the raffle that will be held during the day. So come on down for a fun filled day for the whole family, including your pooch! Where is the The Stolberg? Address is: 197 Plenty Road, Preston, Victoria, 3072. So much to do and see!! #pawsandpints#goodbeerweek #thestolberg — with PAWtraits, Pets and People Photography – Melbourne., James Moloney & the Mad Dog Harrisons, Team Vom,Moo+Twig, Watsons Natural Animal Remedy, DOT DOGS Dog Owner Training, NatureDog Raw Dog Food, Laila and Me, Pawsitive Animal Therapies and Moon Dog Craft Brewery. Mother’s Day Celebrations – For all MAY 2018! Are you are proud Pet Mum? Celebrate this Mother’s Day with a Pet Portrait!! For the Month of May, we are celebrating all the Fur Mama’s out there. Not everyone understands the depth of our connection we have with our fur kids. Here at PAWtrait’s we do, and we believe these relationships are something to be celebrated. We have organised a Session Deal just for you! Your PET will STAR in our Fourth Pet Book! An experience filled with fun, laughter, and feeling extra special. 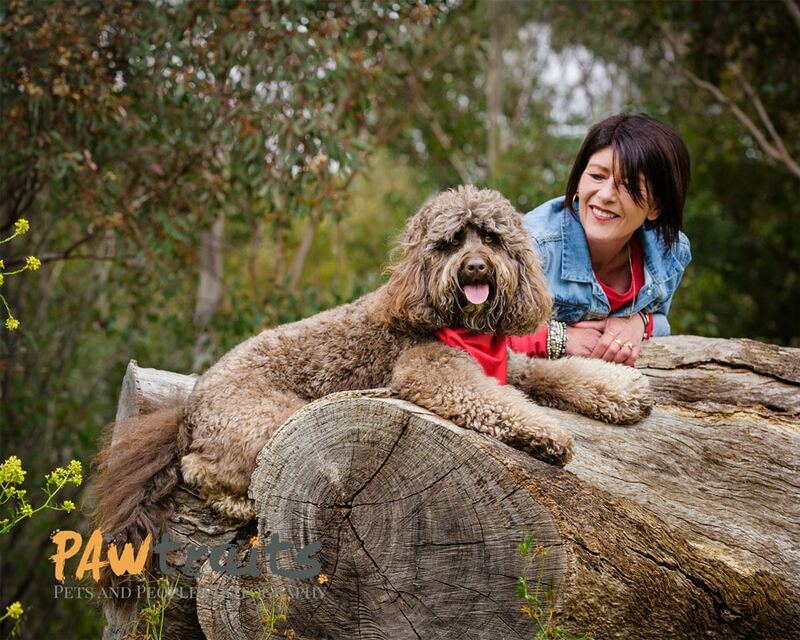 This photography session deal is for all ladies out there that love and cherish their pets. Worried about your fur kids not sitting still? Don’t, we have been called the dog whispers many times, leave that to us! Our boutique outdoor studio is fully fenced and secure, and we have many tricks up our sleeves. Worried being in front of a camera? Stop worrying, You are beautiful! We will help you, every step of the way. Be that with positioning, instructions or just being silly to make you relaxed and laugh, so your beauty will always shines though! Can I include my non fur children too? Yes, if that is what you would love, of course you can. Call 9482 2006, or fill out this contact form and we will get in touch.